Trap Free Montana Public Lands! Trap Free Montana Public Lands (TFMPL) has until this Friday to gather enough signatures to get Initiative 169 on the ballet. I-169 allows the public to determine whether they want recreational and commerical fur trapping on public lands. This is a fair and reasonable measure. It applies only to trapping and only on public lands, which make up 1/3 of Montana. Hunting and fishing rights are not affected by I-169. But reasonable and fair is not how the opposition to this initiative are behaving. Members of the Montana Trappers Association (MTA) have continually bullied signature gatherers across the state, upsetting some volunteers to the point that they have given up. The MTA has also openly harrassed citizens into not signing the initiative. Signed signature pages have been stolen from veterinary clinics and other locations. Recently, at the Hamilton County Farmer’s Market, a very large trapper verbally assaulted two female TFMPL volunteers. At the same event, members of the MTA showed up pulling a Montana Fish, Wildlife and Parks trailer and using their materials, violating campaign ethics and giving the distinct impression that the state agency is going along with the efforts to sabatoge I-169. Not all of the battle has been so public. Last month an official complaint was filed by TFMPL with the Commissioner of Politcal Practices against MTA and their cohorts, Montanans for Effective Wildlife Managment. The allegation is that the MTA, a nonprofit, has been raising large amounts of unreported funds to fight I-169, including an auction that brought them nearly $25,000. The complaint is currently under investigation. With this knowledge, it takes a stretch of the imagination to see the MTA as an ethical and responsible organization. Their efforts to squelch I-169 appear desperate and self-serving. Perhaps their actions are so extreme because they realize that much of the population wants to see trapping go the way of the musket. While it can be acknowledged that some trappers are true naturalists who value their time in the wilderness and take pride in the heritage of trapping, no one can honestly dispute the cruelty of their sport. And the supposed role of trapping in managing wildlife is a story few believe any longer. Chronic trapping of beaver has desecrated riparian habitat throughout the US. 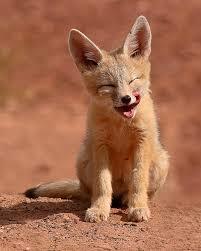 Rare and endangered species, such as lynx, wolverine, golden eagles and kit fox fall prey to traps. Fish, Wildlife and Parks reports that each year, an average of fifty dogs are indvertently trapped in Montana alone. Many of these deaths and injuries go unreported because the pet owner fears retaliation by the trapper. Or they simply know nothing will be done. 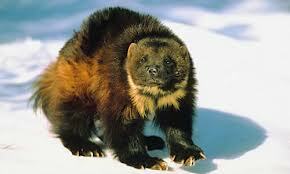 At least two wolverine were caught in traps during the last Montana furbearer season. The effort to end trapping won’t go away. States and nations across the world are realizing that fur is no longer a needed entity and that we can do better than to impose suffering on our native wildlife. Steel-jaw traps have already been banned in 88 countries. Their use is banned or restricted in Arizona, California, Colorado, Florida, Massachusetts, New Jersey, Rhode Island, and Washington. The European Union forbids the use of steel-jaw traps as well as the importation of pelts from countries that use these devices to trap and kill fur-bearing animals. We still have a few days to do what we can to put trapping on Montana public lands to the vote. If you live in Montana, or know someone who does, hurry to the TFMPL website to see how you can sign the initiative! Each vote counts. Our persistence and patience will pay off. Eventually, public lands will be a place that can truly be enjoyed by all, including the native species that reside there. 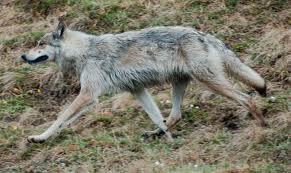 This entry was posted in Montana Wolves, trapping, Uncategorized and tagged grey wolf, Trap Free Montana Public Lands. Bookmark the permalink. Trapping is indefensible. I don’t agree that trappers who defend their “sport” as a cultural heritage should be given credence. One could argue that genocide is a cultural tradition, as is slavery, female genital mutilation, child labor,and a host of other ills. Some cultural traditions are a source of shame and should be recognized as such, and trapping is certainly in that category. I was just looking at research linking animal abuse and domestic abuse. One researcher noted that it’s the same violent act, just a different victim. There is there no public good in allowing this small percentage of the population to run roughshod over the rights and desires of the rest of us. Trappers are aberrant, and there is no place in a civil, just society for those who torture and kill for kicks or for profit. Thanks for your thoughtful comment, Pamela. And I agree, as humans we should be able to scrutinize our activities and determine if they serve a greater good or if they are only for our own self interest. We need to be able to let go of traditions and habits if they are harmful and detrimental to others or to the environment. Thank you for acknowledging that trappers really do enjoy the wilderness…even on the PUBLIC land that they are entitled to use just as you are….and that they take pride in the heritage. That being said, you should really check your information before posting it. When you post assumptions and misinformation as facts, it only makes you look bad.. It’s a shame you spend most of your time resorting to bashing the head of the MTA rather than attempting to explain where you’re coming from….but, this won’t be approved, I’m sure, so I suppose it doesn’t matter. Also, maybe you should take a good look at who is representing your organization (Tommy Mullen/Waters) and realize that his personal attacks stating that combat veterans who trap, and there are many, do not deserve to be called veterans and should have died in Iraq… Who says that? Just a suggestion…maybe you should keep your FB “leader” in check and to sticking with his regular bashing of trappers and get off of the veteran thing, because people are getting worked up about that. I approved this comment because it was reasonable. Believe me, there have been many that have entered the spam pile due to their threatening and insulting language. Nobody needs that. I’m not sure what information you believe I misrepresented but statistics such as the number of dogs caught in traps, are easy to find. And nobody represents my organization (if that is what you are referring to) other than myself. I know the name of Tommy Waters but have never met him. I have no knowledge of this veteran bashing incident you are talking about. Better talk to the person who said it, not me. They refuse to talk to me about this “incident” because it never happened. Jason Maxwell did make a fake Facebook account using my name today and posted some crap. He then made a different fake FB account and sent me a message that he and his friends were going to come and have a “conversation with me. That in and of itself is hilarious if you knew who I am. That will be settled in court along with all of the other threats and evidence that we have against them. It is the trappers who refuse to learn our laws. They can’t seem to comprehend that it is a federal crime to take over public lands as their own and then threaten to shoot anyone who go’s near their traps. It is illegal to place traps on known public trails and known public camping sites. It is blatantly domestic terrorism to make these threats against the public and outright psychotic of them to seriously think they can get away with it. Public land belongs to the public, not just the 3% of trappers who want to use it to kill whatever comes their way. They get mad when I call them domestic terrorists but, they need to look hard and long at what they are doing and then look at the meaning of what domestic terrorism is. It’s very clear. You can’t just go around threatening people the way they do. I didn’t fight terrorists in other countries just to come home to these militia types who hate our freedoms and country. If these trappers seriously believed the rubbish coming out of their mouths they would stop obstructing democracy and allow this to go to a vote. They don’t want people to vote on this because they know they will lose. Trapping is a barbaric and cowardly hobby. Anybody who thinks that their right to kill defenseless animals is more important than the safety of the public, our kids and our pets is just completely insane. These criminals harassed, threatened and bullied the signature gatherers. They stole signatures. They broke several laws that we do have proof of. Like I said, if they really thought that they were in the right then they wouldn’t be against I-169 to go to a vote. They’re scared they will lose. I would challenge them to return the signatures they stole and add their own names to the signatures to get it on the ballot if they seriously think they are right. But, they won’t because they know they are wrong and will lose. They’re doing a very good job of hanging themselves with their constant attacks and harassment. Let them talk. You can’t make angry, hateful people who were brought up on anger and hate understand that they’re wrong. We’ll just sit back, laugh at their ignorant blathering and wait for our day in court. These comments are appreciated but I have decided not to post further ones that are of a personal nature between individuals. Trying to muddle through who did what and who’s wrong or right doesn’t serve the purpose of this blog or the larger question about trapping on public lands. Thanks for being (mostly) civil here. Maybe we can eventually get somewhere this way. Thank you for posting my comment. I appreciate you keeping things open to civil discussion for both sides. Even if we never agree, it is refreshing to know there are people willing to allow both sides to voice their opinions on the topic of trapping and public land in general. Reblogging so everyone can read the wide range of comments that have come up regarding this post. It’s quite impossible to enjoy public lands when we come across animals that suffered a prolonged and tortuous death while languishing for who knows how long in a trap. Was it starvation, or dying of thirst that finally killed them? It’s also cause for anger and sorrow-every victim that we in the veterinary community try to repair (the neighbor cat, the wild raptor, the dog hiking with it’s owner-not all our wild places have leash laws) the poor creature that manages to survive being trapped. This initiative may not make it this time around, but not for lack of HONEST effort. But people are now aware of the cruelties that are being inflicted on the animals that share our lands-it’s just a matter of time. Really. Trappers are gifted at deflecting the issue. Frequently they avoid commenting on the posts in which they cannot negate the truths. Partial truths, if any, are the norm in their statements. Trappers go so far to say we set up owls in traps, magpies and even trapped our pets to advance our cause. The most avid trappers opposing getting our initiative on the ballot promote inaccuracies while at the same time publicly calling us liars. They don’t know the initiative nor do they want too. The goal is to make certain others do not get the chance to vote on it. Their actions speak louder than their words. They are bullies, plain and simple and their underhanded ploys stretch beyond what they do to helpless innocent animals on our public lands. The Montana Trappers Association Vice President has now extended their bullying to social media, complaining every 3 days of a public picture we posted, some even of pictures we took or were given to us claiming that the picture of cruelty depicted was his. This, as is their intent, shuts us down for 3 days on Facebook. Akin to their egocentric nature, they make a mockery out of civil discourse and the first amendment. Many of them don’t care about trapping pets and instead blame the pet-owner. They even tell us they trap their own pet every year and eventually the dog learns. Lucky dog, until next year. The few areas closed in Montana to trapping were ones they did not want to trap in the first place. Empowered in Montana by our few lax realistically unenforceable trapping regulations they transfer that mindset beyond the forests.They say it is their God given right to have dominion over animals and trap them. However, they reject that wildlife and our public lands belong to all of us and sabotage the inalienable rights of every Montanan to have a vote. If they were truly upstanding law abiding citizens these violations and behaviors would be unquestionable. If what they do on our public lands is so beneficial and responsible trappers would be signing the initiative allowing all Montanans to decide if it is so. They were the exception, and far from the norm. Wasn’t there a quote or a statement made by a trapper saying something like, Trappers do inflict pain and suffering and will not apologize for it. And another one, every day is like Christmas, you don’t know what you’ll get. Public lands are not paid for by only those who pay to kill the wildlife on that land. Hunting and trapping licenses are not the only source of funding for those lands but it seems that many people, like some trappers for example, think that the land belongs only to them. It doesn’t. Many of them like this have no appreciation for the wildlife they catch, maim, mangle and kill—and they kill them for fun. Or “recreation”. I’ve seen trappers claim they are honest, upstanding citizens, “real” Montanans. A “real” Montanan trapper said he would leave a dead wolf on someone’s doorstep to show him what real Montanans think of wolves. Do “real” Montanans have to resort to using intimidation and childish pranks and twisting words and situations in order to accomplish a mission? Seems to me that many Montanans don’t need these “real” ones to speak for them and probably wish they wouldn’t even try to. The trapping organization can’t defend the merits of trapping so instead resorts to making it personal and attacking anyone opposed to trapping. If trapping is so wonderful, why do they have to use tactics such as lies, misrepresentations of the truth, intimidation, personal attacks and juvenile antics in social media? Maybe it’s because that is all they have. Dennis “Foothold” Schutz, former Vice President of the Montana Trappers Association (MTA) wrote in Missoulian guest column. Thank you, yes that is the quote I had in mind. And wasn’t it his protege, JM, who put up signs warning of trapping at Lake Como when in fact there was no trapping allowed? Didn’t MFWP address this at a meeting? I have been asked by Jason Maxwell to remove his comments, which I’ve done. This will explain the lack of continuity in the stream of comments.